We've rounded up a list of our perennially favorite gifts for green thumbs ranging from for tools for the DIY landscape designer to accessories for the windowsill gardener. Find more gift ideas, from textiles to furniture, in our Editor's Best 2015 special issue, on newsstands now. 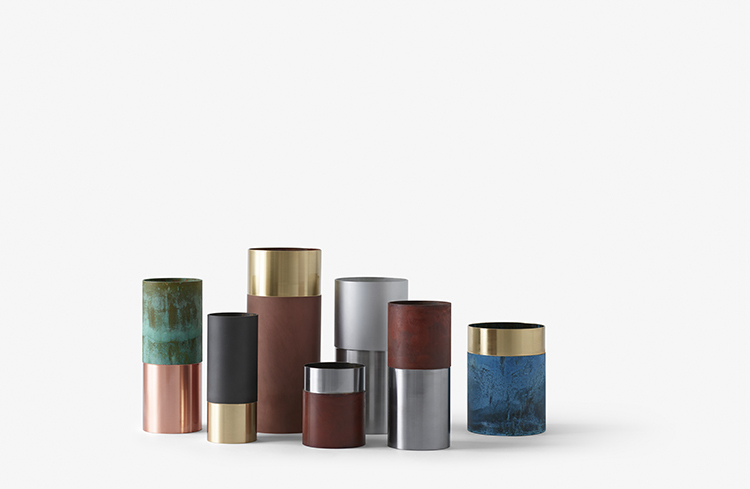 Dutch designer Lex Pott explores the beauty of patina in these two-toned vases that play on the idea of oxidation with organically inspired colorways like brass and blue and green and copper. This iconic orange kneeling pad has been a favorite of gardeners for decades—it's even endorsed by the pros at New York's High Line. Give your houseplants a lift with these beech wood perches designed to show off planters, flower arrangements, and other accessories. This customizable shelving system provides a grid-like-structure for building an indoor garden. Each two-by-two cube module has enough space for one Teflon planting bag. These Italian-made cowhide gloves are considered the gold standard for those who want to avoid getting their hands dirty. Wyatt Little's playful ceramics transform everyday objects—like the humble sneaker—into delightful vessels perfect for holding plants. Florists and landscapers love Solo's built-to-last goods, like this handheld mister that gently quenches any plant's thirst. For those who believe the mantra "go big or go home," Brook&Lyn's cylindrical aluminum planters make a solid statement standing up to 42 inches tall. This ultra-light geotextile bag from Bacsac can be unzipped on either end to carry oversize hauls, whether you're working in the yard or stocking up at the farmer's market. There's no planter needed to enjoy Global Gardens's self-contained gardens and hanging plants. Just dip the soil ball in water and drain to keep the herbs and succulents growing. Check back from now until December as Dwell editors clue you to their favorite year end gift and product picks.